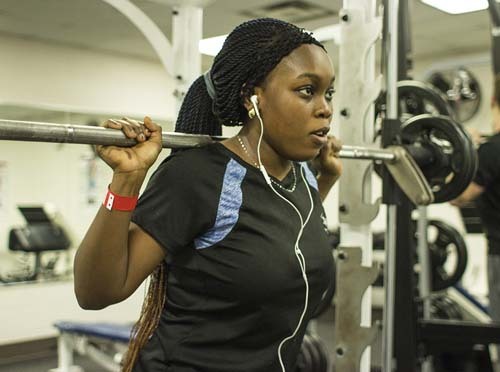 Nursing major Alshat Olaniyan performs squats in OCCC’s Recreation and Fitness Center located in the Wellness Center. The Wellness Center provides many fitness areas free to students with a valid OCCC ID. For more information, visit www.occc.edu/rf/wellness.html.